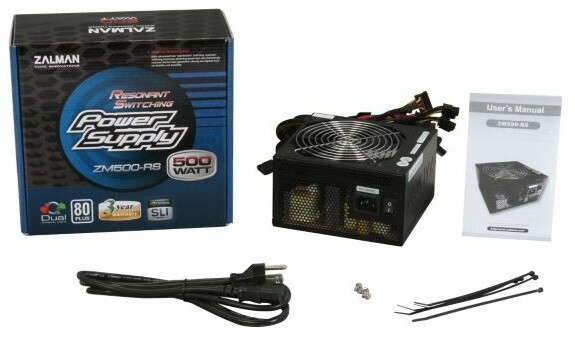 Fonte Zalman ZM500-RS 500W ATX12V 2.3 - PFC ATIVO - FrancaVirtual Informática - Conectando você à tecnologia! Compared to Two-Forward Switching, the more advanced Resonant Switching minimizes ‘switching loss’ reducing heat generation, and operates more efficiently by eliminating the need for an output inductor leading to outstanding stability and reliability. 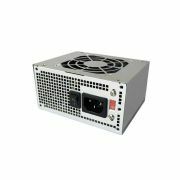 This power supply is 80 PLUS® Bronze certified with 87% maximum efficiency(230VAC, Typical Load) incorporating a high switching frequency & low power loss circuitry design, and guarantees higher efficiency compared to uncertified products. ※ 80 PLUS® BRONZE is an energy efficiency certification program administered by Ecos Consulting of the U.S.A. 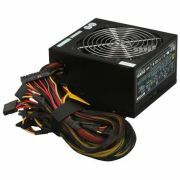 Incorporates the latest power supply design and supports many types of CPUs, motherboards, and graphic cards. Dual +12VDC Rails supply power independently to the CPU, VGA, motherboard, and peripherals for stable operation of core components. 6-Pin and 6+2-Pin PCI-E Connectors are provided for dual graphic card setups. 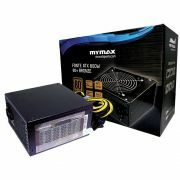 An ultra quiet Hydro Bearing cooling fan increases airflow while minimizing noise for an ultra quiet computing environment. 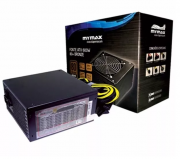 By implementing Active PFC (Power Factor Correction), instead of Passive PFC with a Power Factor (PF) of 75%, the PF is improved up to 99% while harmful harmonic frequencies are reduced to meet the Line Harmonic Distortion Requirement of EC61000-3-2 Class D.
ATX20+4 Pin enhance compatibility for both 20-Pin and 24-Pin type motherboard power connectors. 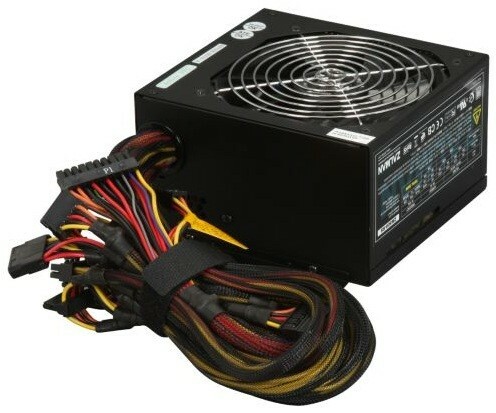 Two ATX12V CPU 2+2 (4-Pin) power cables can be combined to form an EPS12V CPU 8-Pin power cable. 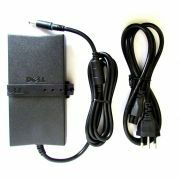 Over-Voltage Protection, Over-Current Protection, Short-Circuit Protection, Under-Voltage Protection, and Over-Temperature Protection. ZM500-RS Complies with WEEE & RoHS environmental directives of the European Union.